Every building permit shall expire and become null and void: (a) on the expiration date or (b) if the work authorized by such permit hasnot been commenced within one hundred eighty (180) days or the work is not completed within one (1) year, unless otherwise extendedREQUIREMENTS:  ONE COMPLETE SET OF DRAWINGS & SPECIFICATIONS  ONE PLAT OFSURVEY INDICATING:  the location of all existing structures,  the dimensions of all existing structures, the distance of all existing and proposed structures from each lot line and adjacent structures. CONTRACTOR INFORMATION:NOTE – All trades & subcontractors must be registered by the Village prior to issuance of this permit. If more than twotrades/contractors are involved with this project, a “Contractors, Trades & Subcontractors List” MUST be completed. I hereby certify that I am the owner or duly authorized agent of the owner for the purposes of this application. I further certifythat I have read and examined this application and know the same to be true and correct. If any of the information providedon this application is incorrect, the permit or approval may be revoked. 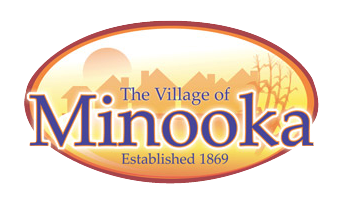 I also understand that all work shall be completedin compliance with the Village of Minooka Codes and Ordinances and the statues of the State of Illinois.